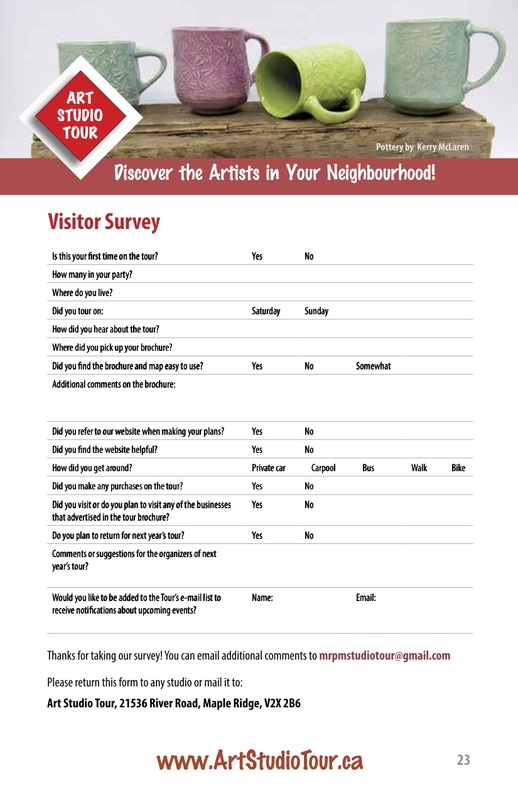 Our 2019 Tour brochure includes a passport and a survey on the back cover. 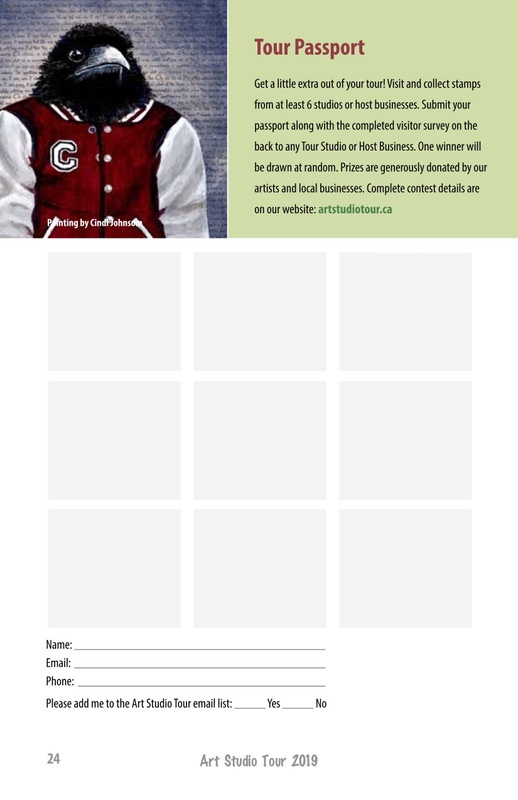 Visit at least 6 studios getting the artists to stamp a square during the 2019 Art Studio Tour and you could win a fabulous prize package filled with gifts from our artists and advertisers! Don’t forget to put your name and contact information on your passport so we can reach you! Last year’s passport draw took place May 25, 2018. 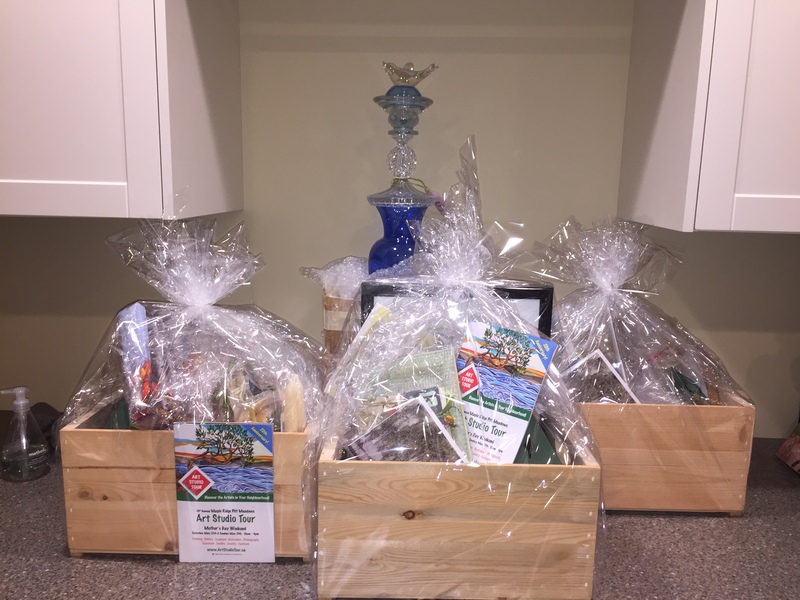 Congratulations Somphon, Thoma, Dianne, the winners of the gift baskets for 2018!